Office Hours: Monday–Friday, 3:00 p.m.–7:00 p.m.; Saturday, 8:00 a.m.–6:00 p.m.; and Sunday, 1:00 p.m.–6:00 p.m. 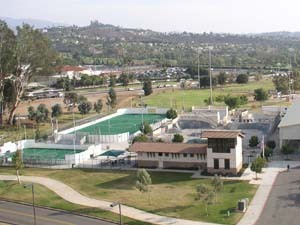 Whether you're interested in arena soccer, roller hockey, skate boarding, inline skating, or bike freestyle, the Escondido Sports Center offers something for every member of the family. Year-round leagues, tournaments, day camps, daily skate sessions, and birthday parties are just a few of the exciting programs available. The Escondido Sports Center provides the very best facilities and programs in a safe, clean, and well-supervised environment. Our staff is here to ensure that each visitor has an enjoyable experience. For more information, visit sportscenter.escondido.org.